A couple of things that I wanted to bring up today on Handheld Addict. First of all I want to talk about the situation that we are in at the moment concerning the future of handheld computers. As we know HPCs were widely popular throughout the mid 90s and were seen as an ideal hardware solution for many enterprise and consumer workers. The introduction of the Palm PC which was then followed by the Pocket PC began to eradicate the HPC from the market. I don't need to tell you what happened then. However when many people say that we don't have a future and the diminish of the HPC is imminent I have to stop and question that remark. How many years have we been reading your user thoughts and opinions from people who have been concerned that the future of the HPC have been under jeopardy? I know personally I have read several although this concern is certainly justified I don't think that we have seen the end of the HPC in any way. One has to recognise that NEC have recently introduced a new device and there is also much speculation that the Psion will also introduce a consumer based CE device in the near future. It is certainly not running Windows CE then it is very likely to be running Linux. Saying all of that I think that it is rather difficult to get an inexpensive HPC because the price of a HPC cost substantially more than a Pocket PC continuing on those lines you are able to purchase an inexpensive HPC from eBay however caution must aired if doing so. Used handheld.com is also a good resource and using forms on websites such as ours at hand held addict we will also help to for fill your requirements. One of the questions that I would like to ask is why there has not been a major Windows CE update? Windows CE is still powerful and is more than enough for most people, however it certainly does have its limitations and flaws. If I sat here and made a list of those flaws then we would be here for some time. Saying that it is very easy to criticise and we need to look at the positives of our HPC's. The major advantage that I can see with HPCs is that they are clam shell with keyboards that are easy to type on. The display and the clarity of most of the HPCs that I have certainly looked at or used have been excellent. Additionally many people would say that they are relatively bulky and not easy to carry around but I certainly have not had any difficulties in carrying a 720 around with me. So as you can see there are major advantages and yes, the disadvantage will without the shadow of a doubt out way the advantages but again we need to remember that our handheld computers may be aging gracefully but they are still as powerful. How you use your HPC is another matter. I use it to type up a lot of editorials and word documents especially whilst I am on the go and more especially for longer word documents. For anything that is less than say 100 words then I will tend to use my Palm device but for longer documents I will tend to work on the 720. Also with its wider screen I can see more of what I am writing and obviously the screen contain more of the text so in my personal opinion it is actually much harder to make mistakes on it as I can see what I am working on the screen and I am now getting to the stage where I can touch type although I have to be in a good typing mood to be able to do that but it is certainly possible for me to touch type on my 720. To conclude the Jornada 720 in my opinion is an excellent device. By no means have we yet to see the diminish of the device but what I would say is that if you have a HPC then it maybe worth looking at purchasing additions such as add on batteries or maybe even an additional device as a back up should your particular HPC break down or fail then at least you will have a back up should you need it. However there are people out there that are a little cynical who think that the Pocket PC will dominate the Market, then to a degree you are quite right there but at the same time the HPC is still certainly a live and kicking and in my daily usage will still play a major part in my daily life and I will continue to use it on a daily basis where and when I feel necessary. The HPC's are excellent for common task but they really shine for us lowly scholarly types. They're wonderful for compositions and personal study if your a poet, scientist, teacher or even a bibliophile. All thematic data, books and documents can be loaded and perused at appointed times or in restaurants or waiting rooms. For those of us who travel with pouches or big pockets the J728 HPC would make a terrific companion. For my work as a college professor, I use my Jornada 680 for email checking, websurfing, powerpoint presentations, word documents editing and creation, pocket streets, you name it. At school or on the road, it never leaves my side and serves me faithfully. A 720 or 728 would of course have the benefit of better surfing but most of all the ability to create Powerpoint presentations. The 680 does have the outline converter possibility, but the Pocket Powerpoint Editor by Minhosoft that might solve my last problem does not work / is unavailable as their website seems to have vanished and they do not answer email so registring is impossible...:-( Also, the newer PocketIE version and Personal Java + Hotbrowser for the 720 might be of help. Considering the small screen I cannot understand why the "find" function is not included in PocketIE..... Of to try to install the unix stuff and Tex stuff so I can create my research articles on my favourite device as well...Cheerio! Handheld Attitude updates today includes - Miscellaneous - Finance - FIS WinCE Suite updated, Miscellaneous - Finance - MrtgCalc updated, Miscellaneous - Finance - Pocket Genesis updated. Handheld Zone picks up on - Asteroids and rCE v0.6 ActiveSync Controller. Let me introduce myself my name is Lindsey Dyson, and I help Sammy out on the PalmAddict website and as many of you may have read previously have also focused on the Psion handheld devices here on Handheld Addict. I recently acquired a Jornada 720 for the benefit of handheld Addict. Now I purchased the 720 recently from eBay and have started using it on a day to day basis to compare with other PDAs and to see what software is available and whether a consumer like myself could use the device fully and to my best ability. The 720 that I have has been on the market for at least 2 years and from the emails that we receive at Handheld Addict a good percentage of you actually own the Jornada 720. I was discussing with Sammy whether the advantages of upgrading the device of a 728 is beneficial and we came to the conclusion that the 720 is a powerful beast. I actually help and work with Sammy on a day to day basis, and I have started to use the Jornada 720 to keep track of deadlines and dates, schedules and also to store addresses and contacts. The Jornada 728 is a beautiful device in my opinion, it has a crisp clear screen and what I am going to be trying next which I will be covering on the site is connecting to our wireless networks within the office and also within my home in order to surf the internet and to check email. So I just thought that I would introduce myself to the community and I am joined by Joe Gardner who will also be introducing himself onto the site and I look forward to adding to my comments under handheld Addict over the weeks and months to come in the mean time if you would like to get in contact with me please feel free to email me at lindsey_dyson@yahoo.co.uk where I will be more than happy to discuss anything in which I talk about here on handheld Addict. FOR SALE: Jesus Harinto is selling his Jornada 720 which is in excellent condition. No problems and he has owned it for just over a year. Based outside Barcelona, Spain he plans to sell it for $95 whicdh includes leather case. Payment via paypal and must include a shipping charge. Email me your shipping offers and if reasonable for where your based I will email onto Jesus. This is a first come first served sale and unfortunatly due to the volume we are unable to respond to each and every email so we will only be in contact with the first purchaser. Remember no shipping cost then obviously no possible sale. Jesus has an alternative HPC and PPC so there is no need for the 720. Email me with your details - sammymcloughlin@mac.com IMPORTANT please put the words HPC SALE in the subject line or I will simply not seee your mail message. Lindsey Dyson and Joe Gardner join the Handheld Addict team full time tomorrow so look out for more details on them as they will be updating the site directly starting tmrw. Lets welcome them onboard. Remember that HPC Factor have a great BallShooter Pacman Competition. Rememeber the website - HPC Factor and also remember that Handheld Zone also have news updates too, remember to use the language translation weblink which transfers the contest to english. News recently posted includes Winamp. Ted Court was the winner of last weeks contest on Handheld Addict well done Ted. We will have a new contest next week so keep tuned ;-) Well done Ted. as always first for the latest in HPC Software, this should be your first choice for HPC software. Again Handheld Zone has also told me of a good number of updates including PocketMusic and Pocket Brietling. I am thinking of using my 720 as a wireless handheld device because I have heard nothing but good things about going wireless. So today I invested in a Buffalo Wireless Station and tomorrow I will start looking for the relevant hardware to assist. I simply cannot wait to experience portability using little more than my 720. Having taken my 728 with me everywhere it has to be said that I wished it was a fraction lighter. Despite it being a fantastic device it needs to be small enough to fit into the pocket. Criticism aside the 728 is the best portable computer I have used. I will reveal the winner of this weeks contest tomorrow just as soon as I have finished going through the names and emails etc. I will also announce next weeks contest tomorrow. Use it recreationally for WarDriving." I tried my first Handheld PC, a NEC MobilePro 780, a couple months ago and fell in love with the platform design. I returned the 780 because I needed something that would allow me to use PlanMaker and a Bluetooth CF card for mobile connectivity. I then picked up a mint Jornada 720 and thought I was all set. However, after about 3 weeks I figured out I was hardly using it because the keyboard was just too small for me and the screen size wasn't significant enough of an improvement over my iPAQ 4350 to warrant using it all the time. I just bought a NEC MobilePro 900 on ebay because I will get the larger keyboard, larger display, more RAM and ROM, the HPC 2000 OS, and a faster XScale processor. I cannot wait to recieve the 900 and think this will fill the role of the mobile writing platform I am looking for. I do not own a laptop and intend to use the HPC as my laptop replacement to supplement my Pocket PC when I need to do more serious writing. The 720 comes wherever I go. It is used as a replacement to my Pocket PC because of the keyboard. Next it is used as a tax calculator keeping tabs of my financial commitments before being used to access email on the go. My 720 has becime the PDA essential. I have a few NEW IN BOX Jornada external keyboards, HP model number F1275A, that work with the Jornada 680/690/720/728. These retailed at HP for $79, but are no longer available and have been going for about this price on ebay. I am willing to sell them for $75 plus actual shipping anywhere in the world. I don't add a handling charge or anything. They come in the original box, opened just to check the condition, with the HP carrying case, manual, and floppy disk with driver. I also have several NEW and SEALED IN BOX Jornada Extended battery, HP model number F1840A, that again work with the Jornada 680/690/720/728. These retailed at HP for $145, but can't be found there anymore and have been selling on ebay from $180 to $212 each. The specs state they provide 3 times the life of a regular battery pack. I will sell these for $130 each plus actual shipping anywhere in the world. They come sealed in plastic and the original box. My ebay user id is "yosemsam" and I have a 100% positive feedback with over 115 auctions under my belt. I accept PayPal, cashier's checks, or personal checks and can be contacted at ppcsolo@yahoo.com to discuss shipping details. EDITORIAL: I use my J720 daily. I use my J720 daily. It's an extension of my wireless LAN when I'm not at my desk. It gets my filtered IMAP4 mail when I'm on the road. It replaced an 8lb. Lap top to which I owe a great "Good Riddance." My only desire is for a built-in PDF viewer - but for now I just convert them to .pwd or html. I use my Jornada 720 principally as a tool during my research on my great great grandfather and his family, an Irishman, seaman, shipowner, trader to California in 1850, business man and member of Parliament in Victoria Australia. Born about 1821 and died in Queensland Australia in 1877. I use Pocket Genealogist (Northern Hills Software LLC) and find it indispensable, particularly in library reading rooms. I can research and record without pen and paper. 1 Canon Portable Printer (with IR port connection)... makes for FAST printing of documents in the field! Oh yeah, I almost forgot... our SAVIOR (quite literally...) - a Keyboard Skin! You have NO idea how many times a cup of late-night coffee or Mountain Dew has sloshed onto the device! That stuff is FATAL when it gets behind the keys and eats into the 720's motherboard! So is rain and snow - when recording on-scene field data!) WELL WORTH THE INVESTMENT! We should know...! There are also countless donations of software that have been added to fare (sorry, all business related...), such as TextMaker (FANTASTIC, by the way) and PlanMaker. All this, just to record incident data (whilst still in the field and on-scene), type meeting minutes, have ALL the reference information we require immediately available, check email and surf the internet... in a device that fits in our pocket and doesn't require lugging around a laptop! My son, Nick - a high school Junior, has his own Jornada 720, and he uses it to type his term papers and class notes, record lectures (onto a CF card), watch movies (when NOT in class, of course), listen to MP3 music files (see previous parental musing), check his email - via his Belkin Wireless CF Card (like his ol' man)...! Needless to say, he too, has an assortment of extras... a few batteries, an additional charger & docking station and CF cards. It amazes me the amount of units still in use! check eBay at any given time, and you'll find dozens being sold (which means that they are being purchased by a new user... thus, getting a new lease on life! It is more than a shame that HP opted to cancel the Jornada production. Around that same time, the Intermec 6651 and Sharp HC-7000 (the truly neat handheld that doubled as a tablet with a built-in camera) gave up the ghost. With their passing went the industry's validity of the handheld environment... as it was perceived by the media that the PALM-like Pocket PC (ala IPAQ) - running the latest Windows CE OS was going to be the newest and best. That is, save for the newest makes and models of handhelds that have begun to populate the market: NEC's updated MobilePRO 900C, DoCoMo/NTT's Sigmarion III (for those of you who fancy Japanese), and the super-tough PSION NetBook PRO 3100... to name but a few. The latter is a serious contender for the EMS and Fire services... not to mention other white-collar venues, like: pharmaceutical sales, medical practices, insurance agents, home safety inspectors, industrial engineers, contractors, in-field researchers & scientists, educators, even the military... anywhere a light-weight, plastic-cased device wouldn't be able to stand up to the abuse that this puppy seems to take in stride! Unlike the other contemporary new devices, this one is slightly larger, but - not so that it is even half the size of a laptop. Still, it boasts a full size screen, truly comfortable keyboard, port accesses that have sealed covers (NOT "trap doors") to keep out the elements, LONG battery life, INSTANT on - when you open the device, and a tough outter shell - with a surface that is grip-friendly... just to sing a few notes of praise. Still, I lament the loss of our beloved Jornada, and that those suits and skirts at HP/Compaq decided that its "day" had come... and gone (punn intended). Long live the HP Jornada 720! Too bad it couldn't be reincarnated as the PSION NetBook PRO...! I've a HP Jornada 728 and it is the best computer I have every owned. I take it everywhere (work, soccer practices/games, traveling). My Jornada has become "My Brain" for all those little things that I did not want to remember. It helps me get my life in order and keep my thoughts when I forget to put them elsewhere. Can't wait to see the next version of this. Finally organized. The that I just discovered for my Jornada is to compose updates for my new blog. I create simple text files and keep them organized in Tombo. When I have the opportunity, I connect via a phone line or my cell phone's IR port to the Internet and upload all completed entries to my blog. Really handy in that I can jot down any thoughts or do some writing while I'm in meetings or anyplace when I have a few minutes to focus. Just one more way in which my little HPC is helping me be more creative. Updates on Handheld Attitude include - Comms - Remote - EzObex updated, Programming - ActiveX - SRego CE Toolpack ActiveX updated. My Jornada 690 came as surprise when my father gave it to me as a gift for college. He insisted that if I was going to get a PDA, that I would have one with a built-in keyboard. And I've enjoyed the benefit of that wisdom for the last two years! At first, I had thought I could get away with just having a simple Palm or Pocket PC for quick notes and the occasional internet use. But the Jornada has become so much more than an electronic organizer/diary. It's so nice to be able to compose lab reports and compositions during my free time, just by finding a quiet corner on campus and typing on my lap. As a student seeking to go into the field of computer science, my little H/PC is great for holding all my technical notes, and can even be used as test bed for some of my projects in C or Java. I haven't really been able to get the hang of using Pocket Outlook as an electronic organizer... which makes me glad I never did try and get a simple P/PC. I often just use the voice recorder to take quick memos about upcoming meeting or next week's homework assignment! I have found the voice recorded is a great tool when I go out for my wilderness hikes, as I never remember to write now any details on the snapshots I take on the trail. My Jornada has become an indispensable part of my everyday life. From making notes on it, or reading work-related documents (using TextMaker or Adobe Acrobat) while enjoying a coffee outside, to listening to my favourite mp3s using GSPlayer on flights, to playing chess, to even working on code with PocketC, my J720 is with me always -- well almost. I especially enjoy people's reaction when I tell them the multi-functionality of this nifty device. I just wish HP hadn't pulled out and that there were few more devices like these around. WEBSITE: Chris from HPC Factor let me know today that - "HPC:Factor have teamed up with award winning Windows CE games maker BallShooter to offer you the chance to win one of 3 copies of that most quintessential of retro arcade games - Pac-man, for the Handheld PC. Keyboard Skins "Fit like a Glove, Yet - Protect like Armor!" "Okay, you've spent a small ransom on your expensive handheld PC... so, what have you done to protect it from damaging accidental fluid spills and blowing dust...! Whether you use an HP Jornada 720, an NEC MobilePRO 900, an Intermec 6651, a PSION NetBook or a Sigmarion III... When it comes to keyboard protection... We've Gotcha Covered!" With our exclusive Keyboard Skins, now you can keep rain, snow, soda, coffee, tea, your morning Danish or late night Rocky Road ice cream from gunking up your keyboard, frying your motherboard and ruining a costly personal data assistant! Originally made to keep ash and water spray from damaging handheld computers used at fire scenes, our Keyboard Skins are now being deployed overseas - to keep the blowing desert sands out of the military's PDAs! Made of a super thin, yet strong, transparent and incredibly flexible polyvinyl material, these high-quality Keyboard Skins are custom-made and vacuum-moulded to fit like a second skin! Our Keyboard Skins? offer superior tactile sensitivity... and ACTUALLY IMPROVE your typing ability on your device (not to mention helps to stop the occasional lost or missing key)! In addition to the EMS and Fire Safety industries, the Keyboard Skins are also used - worldwide - by law enforcement and governmental agencies, construction firms, pharmaceutical sales reps, insurance adjusters, home inspectors, teaching hospitals, doctor's offices, home health care providers, college students, law firms?environmental science specialists...!? In short, where ever handheld devices are - you're likely to find a Keyboard Skin?! HP Jornada 680, 690, 710, 720 & 728. NEC MobilePRO 770, 780 & 790. Psion's NetBook 3100... just to name but a few! President The Image Group, Inc. I always wonder just what accessories we have for our J720. I currently use a 512MB CF card in the bottom for most program and data storage. I have a 128CF card that I use in the side slot from time to time. I also have the Sockets LPE ethernet card, as well as a Orinoco Gold wireless card for connecting to PCs at home and at Wi-Fi spots around town. I bought an extra battery and keep both of them charged on a regular basis. I use a noise canceling set of ear buds for listening to music (great on airplanes). I bought a great leather case for my 720 while in Canada. I have the pictures posted here: http://home.earthlink.net/~freighter/case.htm. If anyone wants one I can pass along the name of the guy who sells them. I bought it at an outside market in Ontario. But it's a great case that carries the 720, all my memory and network cards, along with credit cards, pen stylus, etc. The 720 still turns heads, but I feel a bit sad having to tell people that the machine is discontinued and is rapidly approaching obsolescence. Plus I have to give them this boring lecture about the HPC operating system and all the various nuances of it (the relationship between HPCs and PocketPCs). I use my HPC To generate orders at the customer and fax them to my office for dispatch. This is quicker and less rushed than doing all the orders at the end of the day and frees me up to do other things. Being a long time Pocket PC user, I have recently stepped up to a better device. It is a HPC class machine but is a hybrid being that it runs a WinCE .NET 4.1 I love being able to use my Sigmarion III - it really blow peoples minds away when they see it. In fact some folks at the office call it my micro laptop!! I use it as a note taker, email reader, web surfer, and for much more. Because it only comes in Japanese, I really had fun "converting" it to English. So it is fun to use a nice challenge to keep my interest high. Thank you for the contest & I hope I win! The single most important key or strategy in upgrading to a newer handheld is not the operating system. It is not the display specificiations. It is not the availability of flash rom or wireless communications. The single most important key is getting your wife hooked on them too! After having used my Palm Vx for three years now I slowly felt the need to have a somehow more flexible device with more RAM and - more important - better "connectivity". That was about the time when a sales engineer and good friend of mine offered me his Jornada 720 since he preferred working with his laptop. And guess what - I love this device! Now I never leave the house without my new toy since it holds all my personal and company Contacts, To Do Lists, Appointments and after buying a 256MB CF card also my favourite music. Writing notes or emails is not a big issue with the little keyboard and goes much quicker compared to a Palm's handwriting recognition. The build-in modem makes internet access possible wherever I am and thanks to my Socket LP-E PCMCIA NIC even file transfer from my Linux-Box at home is no problem. What would I do with a Jornada 728, I would pur pur purr and pur, as I am a Compaq 810 user(mono so use outside in sun) and a Jornada 720 (colour inside at night) user. I travel the world with my HPC I write books, I read my dictionaries on them, I listen to my favourite songs, I read my enews, play my games, send love emails.. and copies of my digital photos of my camera, My electronic kit bag is bigger than my suitcase but then I travel lite all in a big backpack. My HPC has been my ebook during my 3 month recuperation from a nasty accident last fall. I like it better than an actual book. I don't have to hold it so it stays open. Built in back lighting means I can read in bed without turning on the lights. I use Mobipocket Pro reader. I like the convenience of looking up definitions without effort. I can make notes, highlights, and bookmarks without actually damaging the book. It's great. I have recently been using extensively my PocketCAD program. The developers say it's not a substitute for desktop CAD but with the larger screen of the 720 (compared to PocketPC) I can do complete drawings right on my HPC! Keep up the great work. Beloveds friends, I write to you from Italy and are a user of HPC from much time. My experience began with the ATARI PCfolio, that it worked in dos 2,1, but integrated already calculation sheet, word processor, agenda, telephone dialer, telephone rubrica, had the possibility to exchange files with the PC and to print directly. All in a machine of the same dimensions of the HP J720. From three years it is just this last one that has replaced it, even if the ATARI is still perfectly working, but sure the performances are not comparable. I have replaced pocket Word with TEXTMAKER, pocket Excel with Ptab and Spread CE, and now I am trying PLANMAKER, that probably will replace also the others. I'm much satisfying also of Acrobat Reader and MS Reader. My J720, used in travel with card VGA of Voyager and portable printer of CANON, has not made me absolutely to mourn a portable PC. MSN Messenger working from IE. ICQ Messenger v.1.0b (PPC) working on HP720. There are many things I would do with it. I want to test the latest software for it, and even try to create my own. I have now a Casio BE-300, which is a very good device(in my opinion). This would be a very big upgrade. I would work with others who own this device to help impove on it. I have wanted one for a while, but I am not rich and have other things that I need. I have alot of free time to develope and improve on my BE-300, and I would gladly give up that time to work with this device. This is not all I would do just things that I am sure about. As a scientific researcher, I often have to work on manuscripts in a university library. Much of my work involves popping up from my table, scurrying to a far corner of the library to find an obscure book or journal, and sprinting back to my table to continue. Of course, during the time absent from my desk I can’t possibly leave a laptop there unattended. The alternative-- shutting it down, closing the clamshell, taking the box in hand on my wandering, and rebooting when I return-- leaves me feeling rather a bit like Sisyphus after a few hours. For the past four months, I have been using an HP 720 as an alternative and the difference has been refreshing. I can simply close it up, slip it in a jacket pocket, and continue in seconds when I get back. After all, why carry a full bore PC for word processing? Cheers to HP for developing the product…..and jeers for discontinung it! How's this: I fly over 3,000 miles every month. On small, slow planes. This equates to over 36,000 miles and 180 hours of flight time (as well as the associated waiting-to-fly game) each year. Carrying two books with me is standard, but there's only so much you can read... Having an HPC is a life and sanity saver. Whether it's jotting down notes or ideas or reading/writing email, or even just vegging out listening to MP3s and playing FreeCell...this device has become a large part of my life and I would not want to be without it. I feel sorry for all those who haven't discovered the capabilities that these devices deliver, but it makes me appreciate my own discovery all the more. I like to write bits of fiction for my own amusement. After trying out an old Thinkpad that weighed about 40lbs, I started looking for another solution to portable computing. I just wanted something that would let me do some word processing, organize my contacts, nothing major. I looked at what other writers were suggesting and they were telling people about something called Alphasmart which turned out to be a big keyboardm with a one line display on it. What? Come on, there had to be something better. Then I found out about MobilePros. They were PERFECT. Light, small, but with a comfortable keyboard, more applications than I needed, long battery life, screen big enough to edit documents. I found a 780 on ebay and bought it in early 2002 and have been perfectly happy ever since. I did end up finding the other useful and now use my Mobilepro for ebook reading, WIFI websurfing, and game playing in addition to extensive word processing. People who see me with my awesome tiny machine are interested and ask me about it; the funny part being that my machine is two models outdated and everyone thinks it is some new cutting edge device. It's a shame these devices aren't marketed at the general public (a shame the prices for new units couldn't come down to make that possible). I see so many people at work lugging overpowered, heavy, hot laptops with them on trips when they could accomplish everything they need to (word processing, document reading, powerpoint presentation reviews, spreadsheet work) with a MobilePro unit. Not everything in life requires 2GHz processors; in my book, portability and battery life are way more important. I don't know if people are having a hard time finding Wireless LAN cards that work with MobilePros but, just in case, I have one from AmbiCom that works fine with my 780. Updates on Handheld Attitude today includes - Comms - Remote - IrDa Remote Control II updated, Graphic - Miscellaneous - GAPI for HPC's updated, Leisure - Ebook - iSilo updated, Utilities - Security - Sentry CE updated. USER QUESTION: Can someone recommend a WiFi card for the HP 720? Will the same cards that work in laptops work for the 720, or does it require a particular type? My Jornada 720 has served me well over the years, but I have now extended its functionality with a wireless connection. I rigged my home with a WIFI wireless router (Linksys) to take advantage of a wifi card I bought last year. (I had used the card initially for wireless hotspots when I was living in London, but since moving to Canada I haven't had much use for it -- until last week.) I bought a second card for my notebook, so now I can work away wirelessly surfing the net from anywhere in my apartment while my wife does work on the notebook. It's a great addition - the only bad point is how fast it drains the battery. Still, it's nice to be able to surf the net, update news with AVantgo wireless, or just check my email without having to always rely on booting up my notebook. 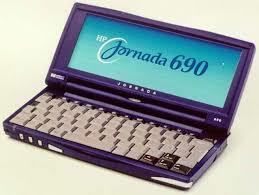 I use my current one (jornada 680) to edit my personal webpage when I have free time. It was started on a 620, but that one was lost in a fire last month. I get my e-mail on it, run dos programs with XT-CE, keep notes for work, and, as soon as I can get a replacement software CD, re-program Allen Bradley Programmable Logic Controllers with it. The original program is out of production so I hope I can find another! I think I would be lost without my handheld! HPCZone talks about - PocketWatch running on 720 (PocketPC app) and LinuxCE: HP Jornada 680 running on Linux!! today. A thought I had for using a HPC, would be for router (CISCO) configurations,. I haven't tried this yet, but I think it's possible. You could use the HPC's hyperterminal and serial port. Using a AIU connector, you can change port settings, or transfer a new Access Control List. You could even modify the Access Control List with the HPC by using word or notepad. There are updates on Handheld Attitude, HPC Factor and Handheld Zone today. Whilst I have been using the J728 for two years it has come to my attention that despite the negative issues that are discussed there are many positive attributes. The 728 is one of the most powerful portable devices that I have seen and is carried with me everywhere. It cannot replace my PC but it certainly makes for a good substitute when out on the road. Clinton Fitch.com is also reviewing Pocket PC software in addition to HPC software - "While I will remain active in the Handheld PC community, it has become apparent that there is a strong need for software and hardware reviews in the Pocket PC realm. Simply put, there are very few reviews being written to the level that I expect based on what I've seen written in the Handheld PC world. This speaks not only for myself but several others who have written high quality, deep-dive reviews. These include John Ottini, Chris Tilley, John Wolf to name a few." Obviously we will still be seeing HPC reviews from Clinton and co, and we look forward to reading them. In the meantime Clinton still has some great reviews and of course we wish him well. I have been using my Jornada 720 primarily for email access, and occasional web browsing using a Compaq WL110 wireless card. The card installation was a little problematic at first - it refused to work when the driver was installed to a storage card location. When I switched the driver to main memory, it worked fine. I have also been using an Sierra Wireless AirCard 750 for GSM connectivity, which I hope to test more when I travel to Europe in May. HPC Factor reports Windows CE 5.0 - Not so-much longhorn more... - "When Macallan (now officially Windows CE 5.0) was announced, most people (us included) were expecting to be waiting for the long haul to longhorn - the successor to Windows XP - before it's Release To Manufacturing (RTM). More recently the idea that CE 5 would be a complementary release has become quite widely adopted." For the past 3 or 4 years I have been doing all of my reading on PDA's. In that time I have not bought one book or magazine and have really become used to the eBook experience. There are a lot of ebook readers out there for PDA's but have you looked at the µBook reader from GowerPoint.com? I have been using this on my PocketPC for a while and since I just got my HPC back I decided to load it up. Works like a charm. I don't think that the HPC (at least, not the HPC Pro or earlier) has the ability to display cleartype (smooth screen fonts) but you can do something like it with µBook. There are a variety of settings to optimize the subpixel rendering for your HPC screen. It is able to read a wide variety of formats including Mobipocket, Palm Docs, HTML, RTF and text. I actually use it for reading articles I have saved to my HPC. While reading an online article I will save it (most news sites have the ability to view and print copies with little or not graphics. Save those and they are better for viewing on the HPC) to my HPC folder and then read it later using µBook. One of the real differentiators for me, though, is the parsing capabilities. You can use or ignore the document fonts and formatting and can reflow the doc. Reflowing is great if you are using a text file as it will already have a carriage return at the end of each line, which may not look great on your HPC. You can also set it for one or two columns. µBook reader is still considered to be in beta format (but is stable) and is free at www.gowerpoint.com. Give it a try! I mainly use my Handheld PC when we travel. It works great for keeping a diary of where we have been, where (and what!) we ate, and anything new my daughter did. It is antiquated but it still works and my wife and I love it! Of course, need I also mention that on very rare occasions we also play games...! HELP WANTED: I logged on to your handheld addict site. Informative for those of us with older HP's. I have an hp 720 and the hinge on the cover is cracked and doesn't operate properly, any idea where I can get it fixed? Thanks. J. Lupica based in the US. If you can assist J Lupica, email him at jay"at"thecolonygroup.com"
HELP WANTED: Is there a software for Diagram drawing such as Flow charts for this Handheld pc ? I've looked up, but the products i found are not compatible. Thanks for your help. WEBSITE: Updates on Handheld Attitude today includes - Comms - Synchronization - ActiveSync updated, Games - Miscellaneous - Nethack updated, Office - Spreadsheet - PlanMaker updated. SOFTWARE: One of my favourite games is CanTris a Tetris game that has been ported over to the HPC platform and also works well for the Pocket PC. It's a great game and continues to be addictive at the same time - "CanTris is a simple Tetris clone. It has all the usual single player goodies, as well as a support for 2-players through IR and TCP/IP. CanTris also features a portal server, which is a Java-based server that maintains a list of players looking for opponent. The portal server also maintains a Hi-score and 2-player ranking list. There are PocketPC, HandheldPC and Win32 versions of CanTris available. All versions are compatible, so you can play between different platforms"
ADVERTISING POSSIBLE: We already have a number of sponsors for Handheld Addict so if you wish to advertise with Handheld Addict then please email Shaun McGill or Sammy McLoughlin at sammymcloughlin@mac.com. Good rates available as our present advertisers will inform you. Special offers will be made available to Handheld Addict readers too. RESOURCE: Handheld Attitude has a very good troubleshooting FAQ that is very comprehensive that both Andrew and I have been reading through this evening and is very comrehensive if you have never noticed it before. It is well worth bookmarking. SITE NEWS: It's great to see the number of emails coming in about the re-design and in fact its been a number of years since we had our last re-design but we are back with the new look although we have only been away for a week we counted a number of emails asking where we went well now you know. Thank you to all the well wishers from both community leaders and HPC users. Thank you to all of you . We have some exciting things lined up in relation to HPC users. We will leave the technical stuff to the likes of Chris at HPC Factor and software to Henri at Handheld Attitude. As ever we will remain the central door to these websites and update you accordingly. Apologies again for the delay, we were supposed to be up and running last weekend but the flu and the slightly longer upload in bringing in the site design made us a few days late but I hope you understand. WEBSITE: HPC Factor has some more updates this evening and its great to see themwishing us well, now they have mentioned an update to Active Sync which is good news but there still seems to be problems and one day I hope that they get it finally sorted out. Palm Hotsync is much nicer and easier to use although wrong operating system. Other updates include, Windows CE 1.00 Screenshots and PlanMaker for Handheld PC Public Beta 2 which is always as ever good news. WEBSITE: There is a review of Resco File Explorer 4.10 and news on the NEC MobilePro 900C Shipping date has been confirmed. SITE NEWS: First of all apologies for the delay in posting this is mainly due to the design of the site we kept the content minimal as possible so that we could control the flow as the re-design was uploaded. I would like to thank our design chap Mike Rohde for all his hard efforts in designing the site template and originally to Chris for his wonderful design of the site logo. From today its normal service as usual.